What’s your curb appeal? You’re aiming for that unmistakable first impression that draws the prospective buyer in immediately. 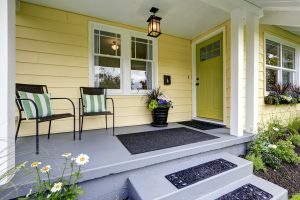 Stylish house numbers, updated porch lighting, a freshly painted front door, porch seating, flowers blooming and a new welcome mat can make all the difference. Inside, take a hard look at every room and start removing your personal items, toys, papers and knickknacks. Much less is so much more. You want the home to look decorated, not lived in. The #1 thing buyers are looking for is square footage so play it up. Reduce the amount of furniture in each room so rooms appear more spacious and open. Hang mirrors to reflect light. Take down heavy drapes and drastically reduce clutter in every room and closet. Get your house super clean. 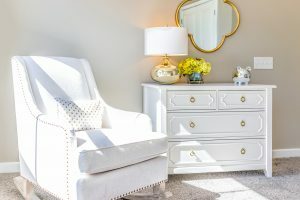 Scrub and shine floors, windows, bathrooms and kitchens, including grout, cleaning carpets and having wood floors refinished or covered with area rugs. Cleaning is truly the easiest and cheapest staging tool at your fingertips. Downplay a strong style. Even if you love your look, buyers may not. Reduce the number of items that create that look you love, so it’s still there but diminished. You don’t want to turn off a buyer from the get-go. Arrange your furniture to create symmetry and balance. Pull sofas and chairs away from the walls and rework to create inviting conversation areas. Review your color scheme. If it’s dramatic, repaint in neutrals that are clean, cool and sophisticated to make the whole house look pulled together. People will look in every closet so clean out closets, tossing, donating or storing extra items. 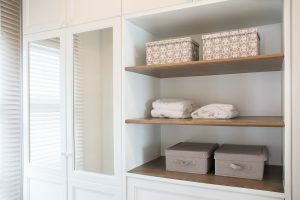 You want the closets to show extra space available; a good rule of thumb is 20 to 30 percent open space. If a spare bedroom has turned into a sewing/junk room, repurpose it back to that extra bedroom or home office. Each room in your houses needs to have a clearly defined purpose. 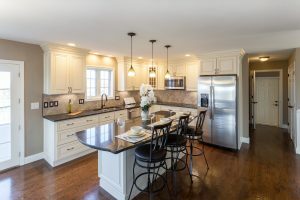 A welcoming final touch is adding vases of fresh-cut flowers, a basket of farmer’s market produce or a bowl of lemons as a kitchen table centerpiece. For more on ways to sell your home faster, contact the Matt Ward Group at 615-838-2694.